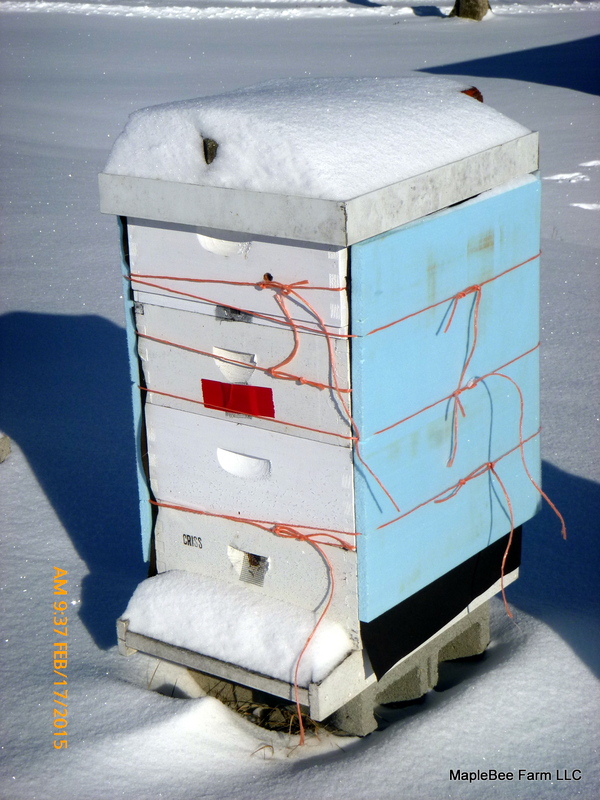 Beehive wrapped in foam for winter warmth. Maple syrup, honey, and other farm products. Last syrup pull of the season.